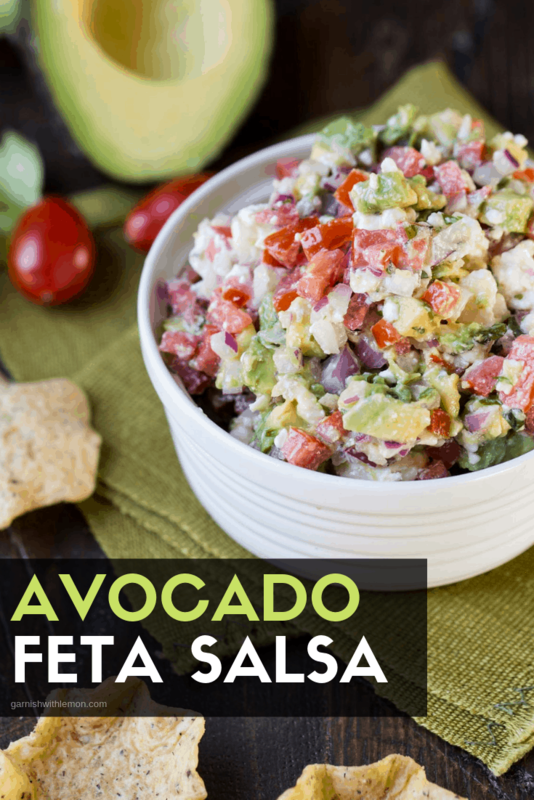 This Avocado Feta Salsa is one of the most requested recipes from my kitchen! Filled with tomatoes, feta and fresh avocado, it’s guaranteed to disappear! A good dip is like an old friend. You know the kind I’m talking about…the one with the good “Remember when?” stories. The one who feels like you just saw yesterday, even though it has been 20 years. The one who brings a smile to your face just to hear her voice. Well, this Avocado Feta Salsa is that dip for me. I tasted it for the first time at a friend’s house, immediately asked for the recipe and since then it is a staple in my house. It is also one of the most requested recipes I have, and now I have shared it with you. Some people call it guacamole, some call it salsa, others just call it dip. Whatever name you give it, Avocado Feta Salsa is tasty and certain to please a crowd, even one filled with kids. The avocados give it a bright, fresh flavor, the feta brings in just the right amount of salty goodness, and the juicy tomato balances out the two. Plus it pairs perfectly with tortilla chips. Just like an old friend. Tip: Grab a firmer avocado for this dip, not one ready for guacamole. Otherwise you will end up with mushy salsa. Dips are one of our favorite snacks! Check out these other keepers! 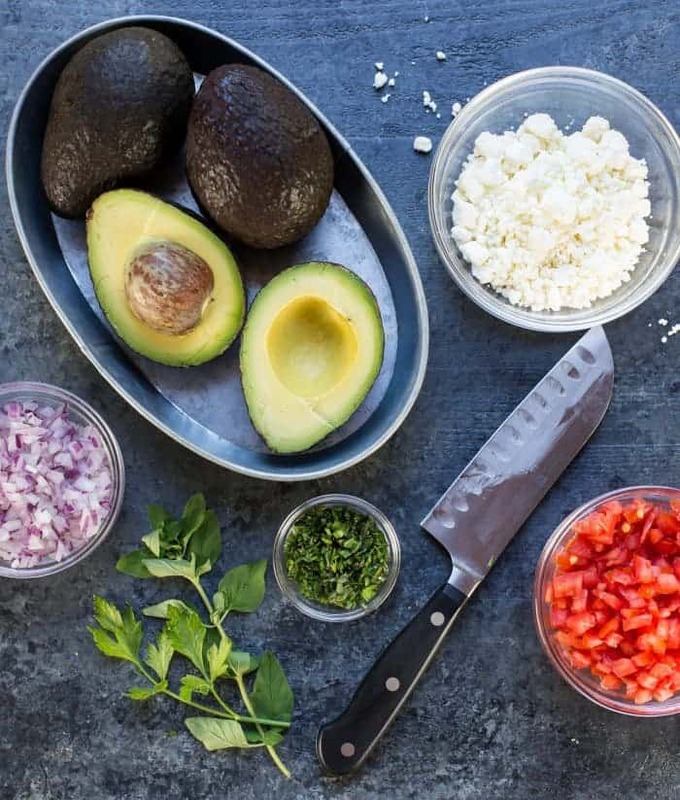 This Avocado Feta Salsa recipe is very forgiving. If you don’t have fresh herbs, dried or frozen make a great substitution. Out of red wine vinegar? Swap in white wine vinegar instead. Mix the tomato, avocado and red onion in a medium bowl. Add the herbs, olive oil and vinegar. Stir together gently so the avocado keeps it shape. Stir in the feta cheese. Serve with chips or crackers. Thanks, Galit! It is a favorite in our house! Great blog Lisa and Anna! Love all the beautiful pictures as well as the clever name. Thanks! The pictures are so fun! Would this be best if made right before serving or better if made ahead of time? You can make it ahead of time but wait to add the avocado until right before serving so it stays green! 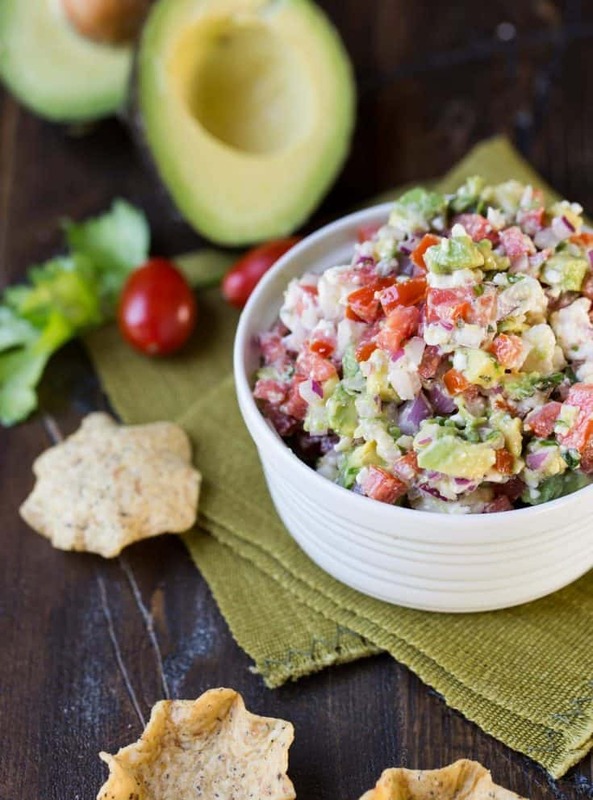 This Avocado Feta Salsa is delicious! I just made it a few minutes ago. I am in love! I had it with Club Crackers. Thank you! It’s addictive, isn’t it? Club crackers would be great with it! I see myself eating this entire bowl myself! 🙂 Why didn’t I ever think of this combination? It sounds so good! I’m going to make it this weekend for some friends…I’ll try to share! Just stumbled this and OMG delicious~!!!!!!!!!!!!!!! I think I have everything to make it so I think this might be lunch. I love this salsa–great idea to use feta! I haven’t tried that before. I don’t care what you call it, I love it! I adore adding to feta to guacamole. I could eat your salsa on everything from toast, to burritos to to chips. YUM!! I am obsessed with anything and everything avocado and this looks so yummy! I love the addition of feta!